With summer here, its time for cool salads and barbecues! 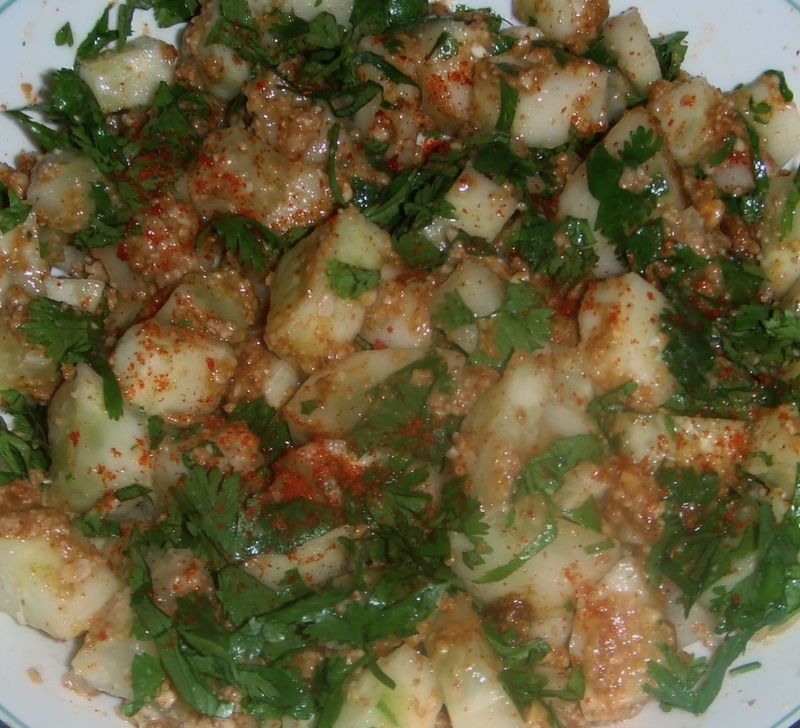 The peanut and cucumber salad is a nice blend of tangy, nutty, sweet and crunchy flavors. 1. Peel the cucumbers and cut into small pieces. 2. Place peanuts in dry grinder and pulse just until roughly chopped. If you do not have a food processor, you can place peanuts into a bag and use a mallet to lightly crush. 3. Mix all dressing ingredients together and whisk. Pour over the cucumbers. 4. Add most of the peanuts and cilantro and mix well. Add more salt, etc. as you like. 5. Garnish with the rest of the peanut and cilantro. 6. Serve immediately. If you need to make ahead of time, keep the dressing separately and mix only just before serving. 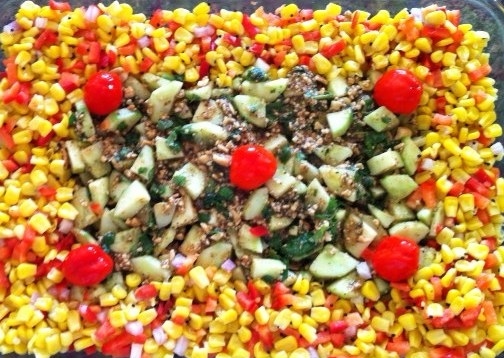 My sister Chickoo, decided to make this salad and then added her own creative touch to the dish by decorating it with corn and cherry tomatoes. What a beautiful presentation!